All SUNDANCE PARCEL 25 homes currently listed for sale in Buckeye as of 04/19/2019 are shown below. You can change the search criteria at any time by pressing the 'Change Search' button below. 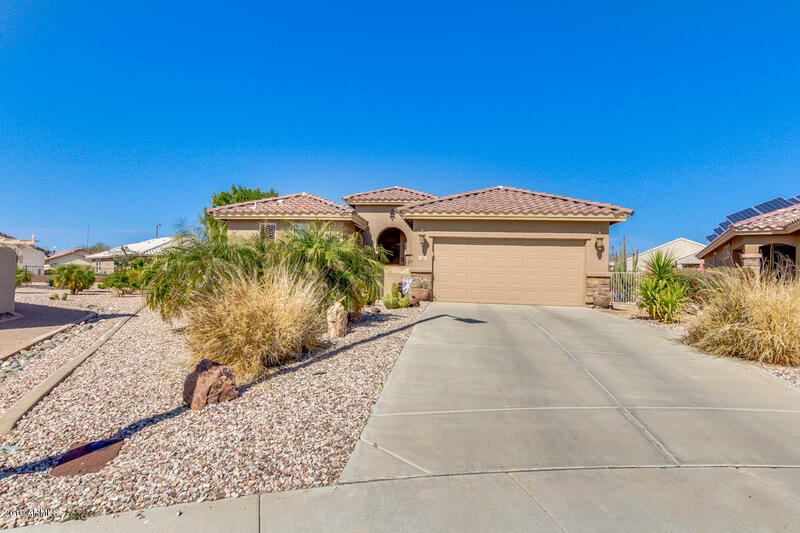 "Come and see this fantastic 2 bed, 2.5 bath property now for sale in Buckeye! Featuring desert landscaping, extended 2 car garage, dining and living areas, and designer paint throughout, you simply won't believe your eyes! The fabulous kitchen is comprised of ample upgraded cabinetry with granite countertops, stainless steel appliances, and a lovely breakfast bar. Inside the gorgeous master bedroom you will find a private bath with his and her sinks. Also including an expansive backyard with a c"